Sustainable and resilient bamboo with a tropical flair. A practical item for the music lover who appreciates quality kitchen wares. Sustainable and resilient bamboo with an exotic flair. 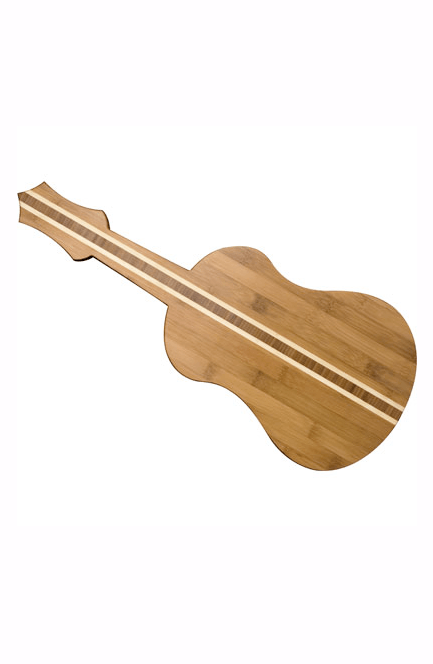 The Ukelele Cutting Board is a practical item for the music lover who appreciates quality kitchen wares.